Hey America -- long weekend coming up and that means more time for poker! 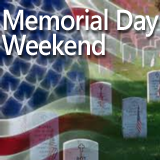 To satisfy its players’ appetite for char-broiled tournament play this Memorial Day weekend, Juicy Stakes Poker has added two freerolls to its busy tournament schedule. A $1000 Guaranteed R&A has also been added. You can register for these and other daily tournaments by clicking the Tournaments tab in the poker software. Do you dream of playing in the World Series of Poker? Series 2014 satellites, now in play all day and night give you a chance to play in the last Sunday $1500 Final ($30 buy-in) May 25 where you can win enough to have some fun in Vegas. Prize money will be paid directly into the winner’s player account. Juicy Stakes Texas Hold’em, Omaha and Omaha Hi-Lo tables are busy 24/7 and its new no-waiting “fast fold” tables are increasingly popular. Can Real Madrid Complete La Decima?